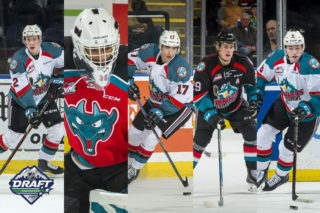 The Western Hockey League announced today the Eastern and Western Conference All-Star teams and Conference individual award winners for the 2018-19 WHL season. Rookie defender, Lassi Thomson was named the Western Conference Rookie of the Year and earned a spot on the Western Conference Second All-Star team. 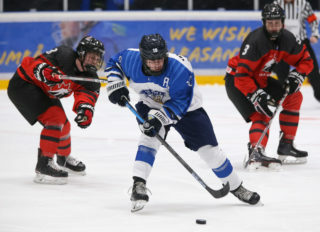 The Tampere, Finland product was drafted by the Rockets 53rd overall in the first round of the 2018 CHL Import Draft last June. It has been a week full of awards, he was awarded the Rockets Rookie of the Year – Sponsored by CapriCMW last weekend at the Rockets Awards Ceremony. 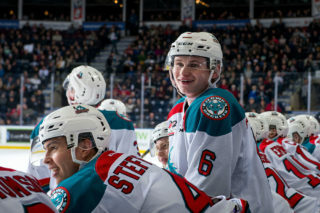 Thomson suited up for 63 games with the Rockets this season, recording 41 points (17G, 24A) and 40 penalty minutes. He lead the Rockets defence core in scoring and was fifth in league rookie scoring among forwards and defenceman. WHL Conference All-Stars are voted upon by WHL General Managers. 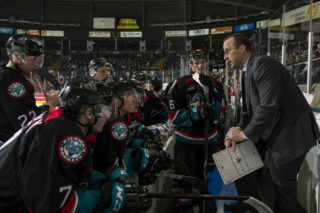 WHL Conference Awards are voted upon by all WHL General Managers and Head Coaches. 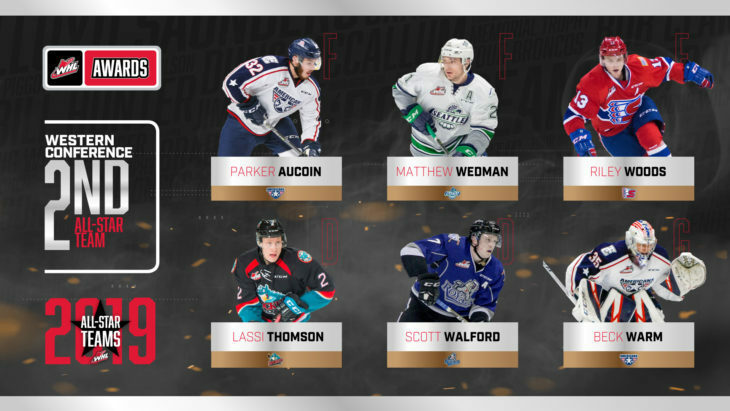 All individual WHL Conference Award winners will be eligible for the overall WHL Awards at the 2019 WHL Awards luncheon in Red Deer, Alta., on Wednesday, May 1, 2019. 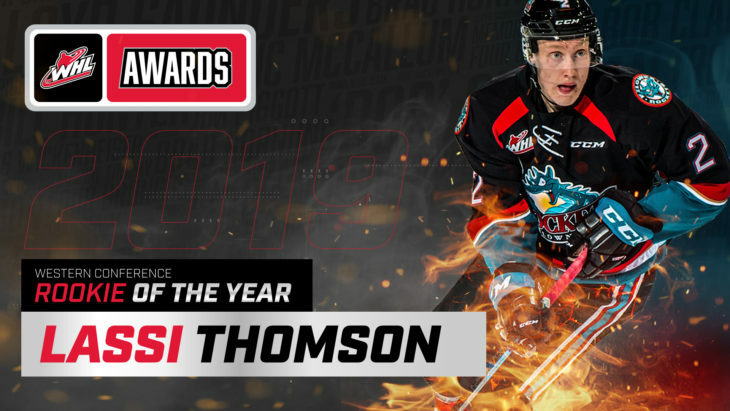 Thomson will be up against Eastern Conference Rookie of the Year, Brayden Tracey of the Moose Jaw Warriors for the WHL Rookie of the Year (Jim Piggott Memorial Trophy). The smooth skating Finn had a busy season. 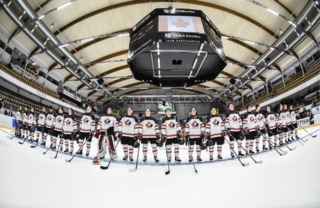 He was invited to Finland’s World Junior camp before Christmas but was a late cut. Thomson then suited up at the Sherwin-Williams Top Prospects Game in Red Deer on Team Orr back in January. 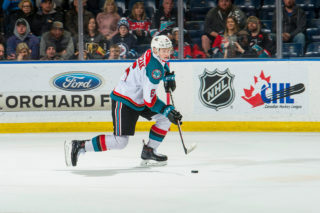 He is the top-ranked Rocket, in 14th spot by Central Scouting on their North American skaters midterm rankings for the upcoming 2019 NHL Draft.